If you are purchasing a commercial brand of pre-ground coffee from your local grocery store, proper storage technique and preserving freshness is probably not a major concern. On the other hand, if you are shelling out $20 to $30 for just a half-pound of gourmet coffee beans, you need to treat them right to guarantee that you get the most out of your investment. The following looks at the best way to store coffee to ensure that you get maximum flavor out of every cup. What About Refrigerating or Freezing Coffee? 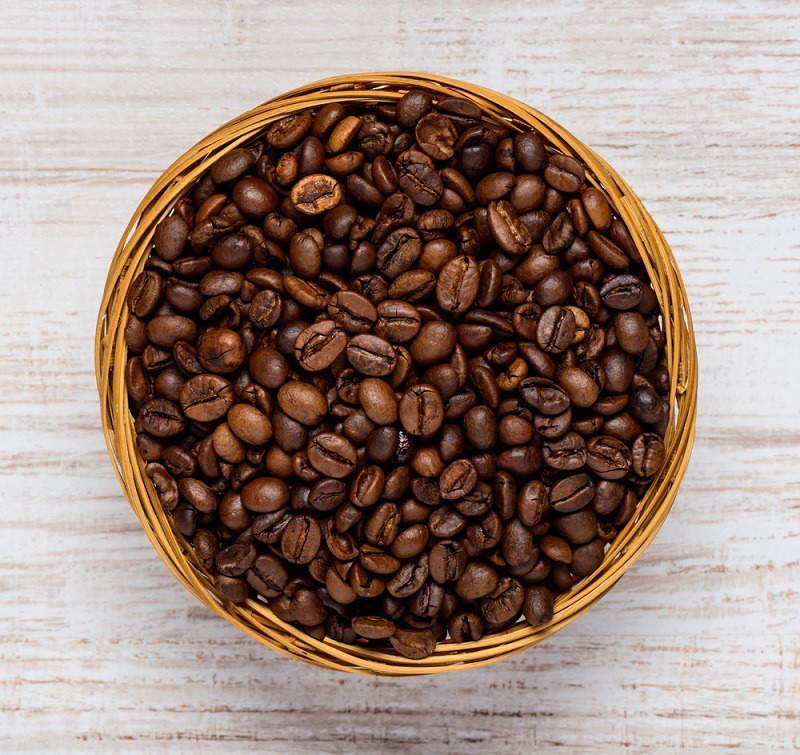 As a general rule, coffee beans should be used as close to when they were roasted as possible. Freshly roasted coffee beans give off gases, so they should be allowed to rest for 1 to 2 days after roasting similar to the way that you would let a steak rest after grilling. Beans that will be used for espresso should be allowed to rest up to 5 days. If you do not let the espresso beans to rest long enough, the carbon dioxide that is still escaping may make your drink taste a little salty or cause tiny bubbles in your latte foam. If you are going to filter brew or French press your coffee, you should try to use the beans within 10 days of the roast date. Espresso beans should be used within 12 days of roasting. This means that you want to purchase beans in small quantities. You should also look for beans that are glossy or have a dull shininess to indicate that the oils are still escaping from the beans. 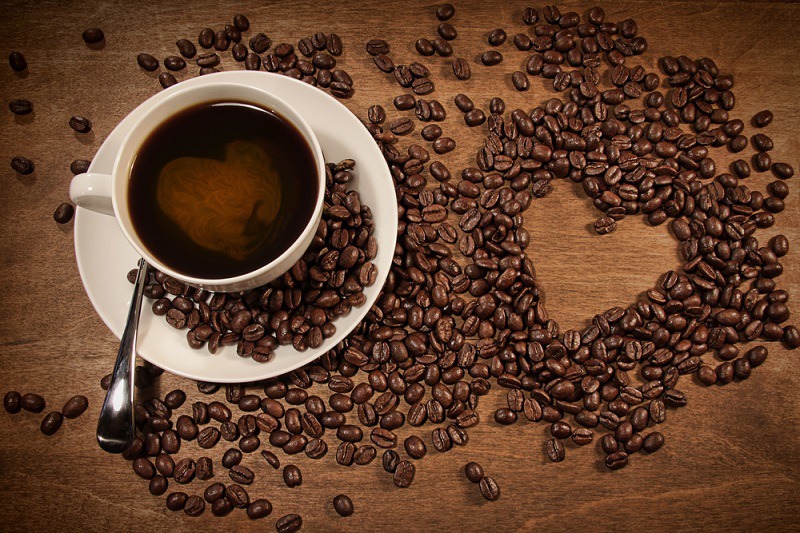 Heat, air, light, and moisture are a coffee bean’s natural enemies. Keeping coffee beans fresh starts with the original packaging. Thin paper craft bags may look pretty, but they do little to keep your coffee fresh. If your beans come in this type of package, you should transfer them to an airtight container as soon as possible. Heat-sealed bags without a valve are also an indication that your coffee may be starting out stale. The lack of a valve means that the beans had already stopped giving off gases when they were packaged, so you have no idea how long they were allowed to sit on the shelf after roasting. Your best option is to look for beans packaged in a heat-sealed bag with a valve. The type of container and where you store your coffee also make a difference. Choose a dark or opaque container that will keep out the light. Keep your coffee in an area away from excessive heat. This means that you should not keep your coffee in a cupboard near the stove or oven or on a counter that gets direct sunlight. Keep your coffee away from moisture. For example, do not store your beans near the sink or where they can be affected by steam from your brewer or stove. If you truly want a quality cup of coffee, you should only buy whole beans. The structure of the bean itself helps to protect its freshness. Once you grind the bean, you increase the amount of surface area that is exposed to air, which leads to oxidation. The oxidation process robs the coffee of its natural aromatics and can make the difference between a great cup of coffee and one that tastes like it came from the convenience store down the street. Use the right grind for your brewing system to maximize flavor. Be sure to clean your grinder regularly so that you do not mix old coffee with fresh. Store pre-ground coffee at room temperature in an airtight container. The soft, porous cell structure of coffee allows it to readily absorb moisture and odors from the environment. No one wants a cup of coffee that tastes like onions and garlic, so you should never keep your coffee in the fridge. 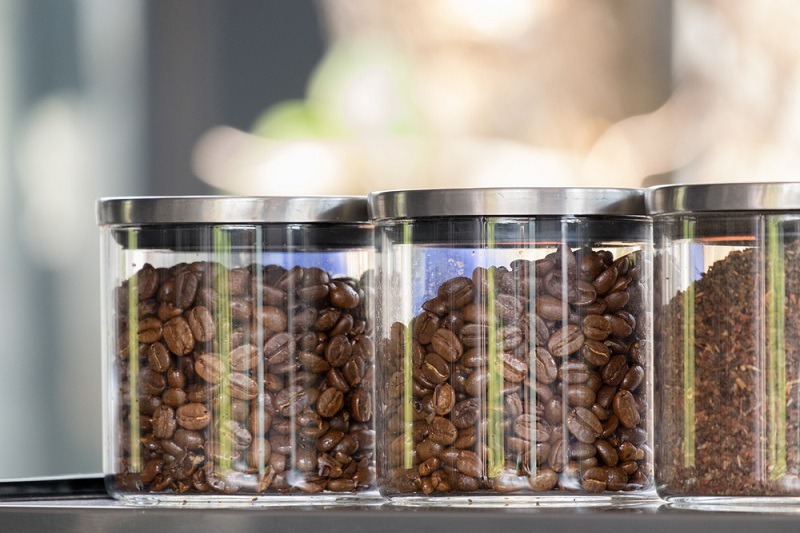 Coffee stored in the refrigerator will also start to condensate, which pushes the bean’s natural oils to the surface and accelerates the aging process. 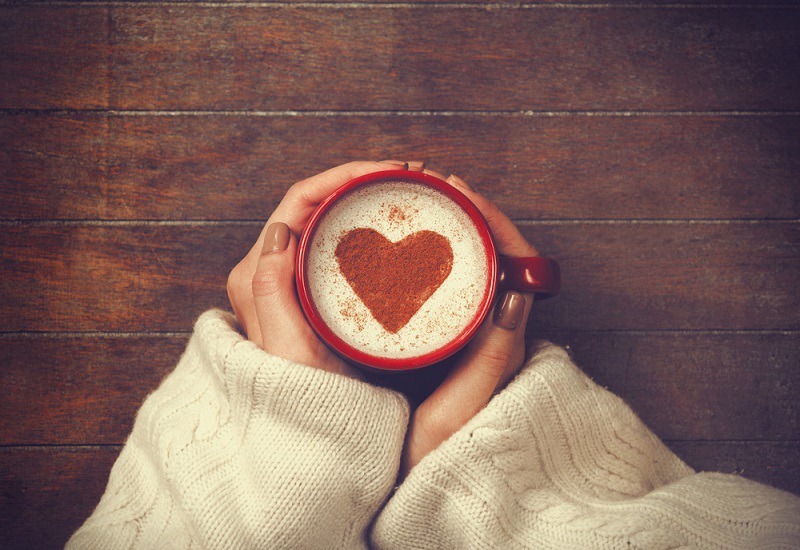 Although freezing is not ideal either, it can be an option if you stocked up on your favorite beans and will not be able to use them quickly enough. You will need to take certain steps to ensure that the beans do not become freezer burned. If possible, store your beans in a deep freezer instead of the one over your refrigerator because the door is not opened as often. Make sure the bag is sealed and unopened. You should also put the bag in a separate freezer bag or resealable container to keep out odors and prevent freezer burn. Try not to store your beans in the freezer for more than two weeks. Allow the frozen beans to return to room temperature before brewing. The thawed beans should never be returned to the freezer. Even with the best of intentions, it is possible to wind up with more coffee than you can use before it starts to lose its flavor. Instead of throwing out old beans, you can use them to prepare a cold brew. The taste of cold-brewed coffee is not affected by the age of the bean, so it is a perfect way to use a bean that may be past its prime. The following method will yield approximately 5 cups of coffee concentrate. Place 12 ounces of coarsely ground coffee in a large container. Add 7 cups of cold water. Give the mixture a stir to ensure that all of the grounds are moistened. Cover the mixture with cheesecloth, and allow it to steep for 15 hours at room temperature. After steeping, remove the cheesecloth, and pour the mixture through a fine-mesh sieve into a pitcher without stirring. Wash the original jar, discard the cheesecloth, and rinse out the sieve. Line the sieve with a large coffee filter, and place it over the jar. Pour the coffee into the sieve, and allow it to drain through without stirring. This could take up to 45 minutes. To prepare an iced coffee, use one part of the coffee concentrate diluted with one part milk or water. The coffee concentrate can be stored in the refrigerator for a couple of weeks.